When discussing spousal maintenance with clients or potential clients, I find that most people are still using the archaic term “alimony.” As divorce attorneys practicing in Suffolk County and Nassau County, we know that that “alimony”, per se, has been abolished but that spousal maintenance now has taken its place. However, most people view these two words as one in the same. What’s the Difference Between Alimony and Spousal Maintenance? The term alimony dates back centuries and was generally only granted to the wife to be paid by the husband. Spousal maintenance, on the other hand, can be awarded to and paid by either spouse. Because husbands are not always a family’s sole or primary wage earner as was once believed, the New York State legislature made it possible for either spouse to receive an award of post-divorce spousal maintenance. How is a Spousal Maintenance Award Determined in Long Island Divorce? There is no set formula for spousal maintenance in New York and therefore there is a large disparity in the duration and amount of spousal maintenance awarded on each case. Because of this wide discrepancy, I am reluctant to give a definitive answer when clients ask how much spousal maintenance they are entitled to and for how long. 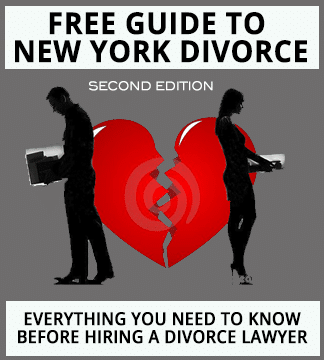 However, on June 30, 2015 a bill passed in both the New York State Assembly and Senate which sets forth a precise formula for calculating post-divorce spousal maintenance awards. Likely as I sit here writing this blog, this bill is waiting on the Governor’s desk for his signature to be passed into law. First and foremost, the legislature proposed an income cap on post-divorce spousal maintenance awards of $175,000 (this number will change each year in accordance with the consumer price index). If you are the payor spouse and your income is lower than or equal to the income cap, and you will also be paying child support on behalf of your children, there are two formulas which, if the bill is passed, will be used to calculate post-divorce spousal maintenance awards. The first formula is as follows: 25 percent of the payee spouse’s income shall be subtracted from 20 percent of the payor spouse’s income. The second formula is as follows: the payor spouse’s income and payee spouse’s income shall be added together and then multiplied by 40 percent. The payee spouse’s income shall then be subtracted from the sum derived from this calculation. The post-divorce spousal maintenance award shall be the lower of the amounts derived from the two aforementioned formulas. What if I am Not Paying Child Support? If you are the payor spouse but you will not be paying child support on behalf of your children, or you do not have children and therefore there is no issue of child support, the following two formulas shall be used to determine a post-divorce spousal maintenance award. The first formula is as follows: 20 percent of the payee spouse’s income shall be subtracted from 30 percent of the payor spouse’s income. The second formula is as follows: the sum of the payee spouse’s and payor spouse’s income shall be multiplied by 40 percent. The payee spouse’s income shall then be subtracted from the sum derived from this calculation. In both scenarios the post-divorce spousal maintenance award shall be the lower sum of the amounts derived from the two aforementioned formulas.